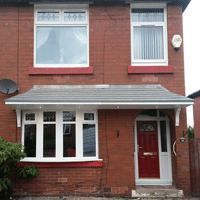 Why Choose Porches from St Helens Windows? A porch is a great way to provide extra space, style, and security to the front of your property. 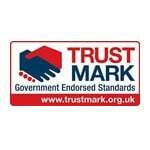 Not only do they look great, but they are draught free and will help to save money on energy bills. 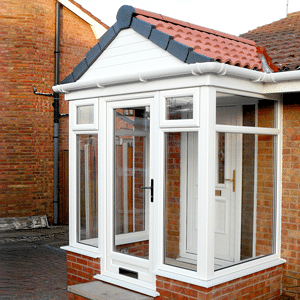 Porches come in a variety of different materials uPVC, Aluminium, and wood. 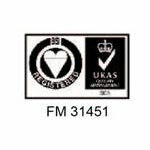 With over 25 years of experience, we can help to create the perfect bespoke porch for your home. 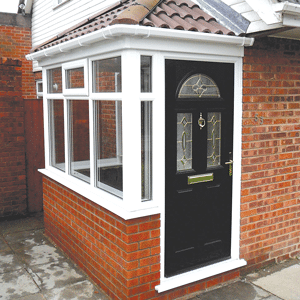 If you would like to discuss your Porch ideas with a member of our team directly call 01744 611 203 and speak directly to a member of our Porches Specialist Team today. 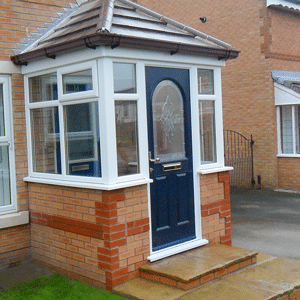 A porch added to the front of your home can add that extra layer of security, this can help deter intruders. 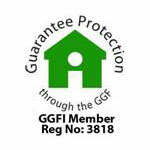 Furthermore, with the use of double glazed units with toughened glass and ingenious locking systems, you can feel more secure knowing that the front of your house is more secure than previously with a porch. Furthermore, for additional security consider having a porch light installed. Porches provide a great way to cater for more than just mail. 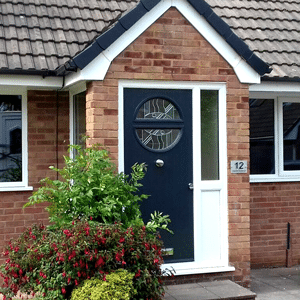 The small porch extension on the front of your home can be used for storing other things. Such as shoes, boots, coats and even a place to dry your dog. We can meet your porch requirements and design your dream porch for you. 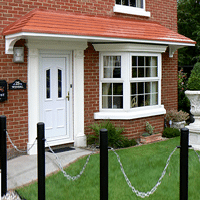 Our bespoke porches are made to measure to complement your home and for the perfect fit. We can also create them to match the style of your home. There is also a wide range of different roof styles to choose from so that your porch can stand out or blend into your home. We can also provide you with glass verandas, traditional verandah or a bespoke veranda of your choice. Canopies come in a wide range of styles with everything from the traditional to the contemporary. 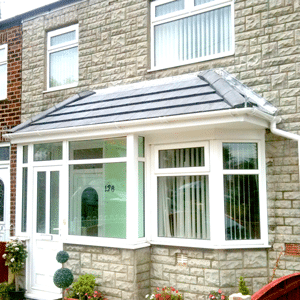 St Helens Windows can supply multiple ranges of canopies from the front door canopy to the full front bay canopies. 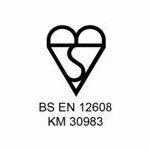 The materials used to manufacture and build these canopies is robust, durable and long lasting, giving you complete peace of mind. 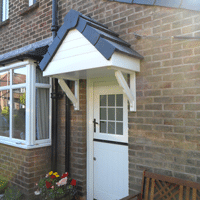 Each canopy is bespoke to your property giving your home that added kerb appeal. We produce affordable canopies that are tailored to your needs and your budget. 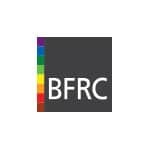 Get in touch today to find out more about stylish uPVC Porches and Canopies and to see what fantastic offers we have available! 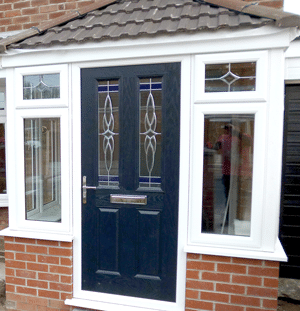 For a porch installation cost call us today on 01744 611 203 to speak with a member of our uPVC Porches Specialist Team today. 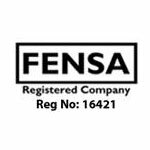 St Helens Windows is a FENSA registered company. 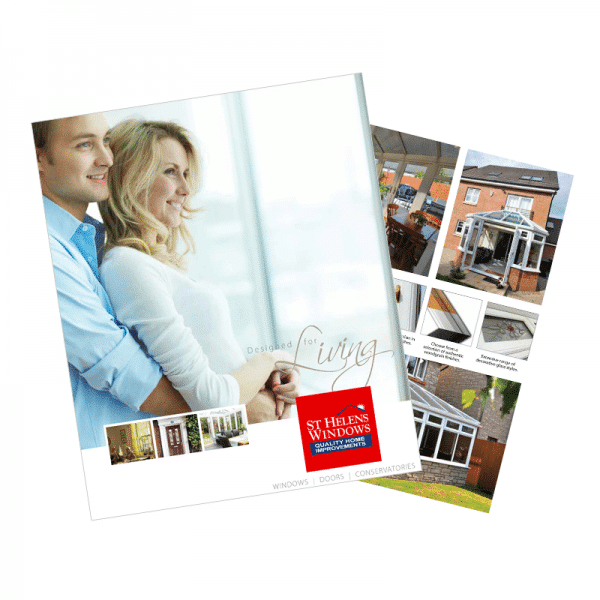 Simply fill in your details below to receive a Porch brochure.